Where do you think the busiest arena venue in the United States is? Whether you’re attending a concert, NBA basketball, or NHL hockey game, arenas can no doubt be pretty packed places to be. Which ones are the busiest, though? Across the U.S., some arenas tend to get more crowded than others, causing parking lot and traffic nightmares, long lines at the concession stands or restrooms, and generally a sold out audience. Let’s take a look at the list of the top 5 busiest arenas in America. Just edging out Staples Center in Los Angeles for the number 5 spot is The Palace of Auburn Hills. 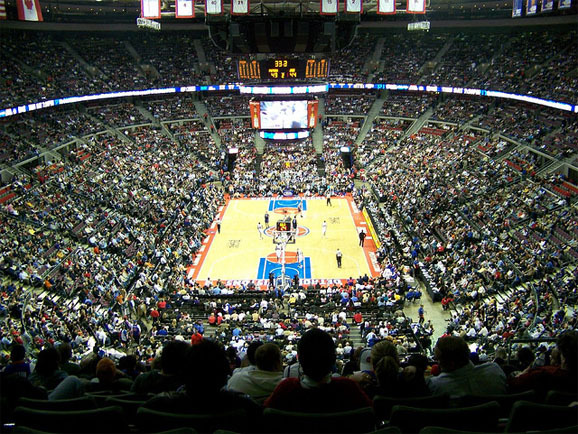 Located in Auburn Hills, Michigan, the sports and entertainment venue is home to the NBA’s Detroit Pistons. To avoid the heavy traffic at The Palace, it’s recommended that guests arrive 45 minutes early. The arena’s official website has detailed information on how to get there, including helpful tips and suggestions to avoid the crowds. The Palace has a seating capacity of 22,000 for basketball games and around 23,000 for concert. 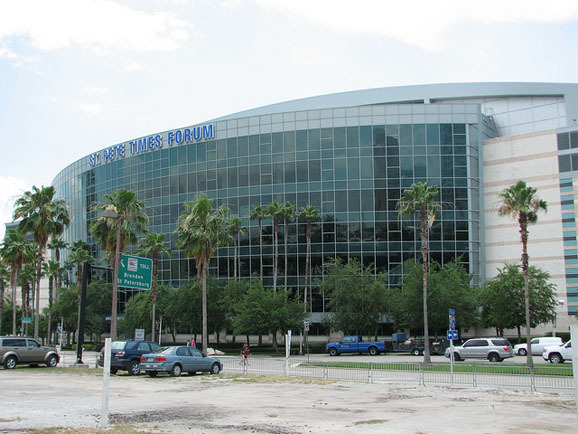 Located in Tampa, Florida, the St. Pete Times Forum is home to the Tampa Bay Lightning of the NHL and was the host of numerous NCAA games and WWE events. The arena will host the 2012 Republican National Convention. Just last year, industry magazine Venues Today ranked St. Pete number 1 in the world for gross ticket sales. 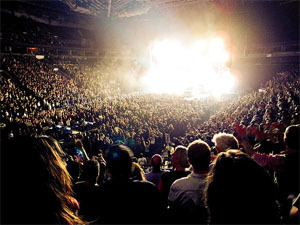 The arena has a capacity of around 20,000 for most events. 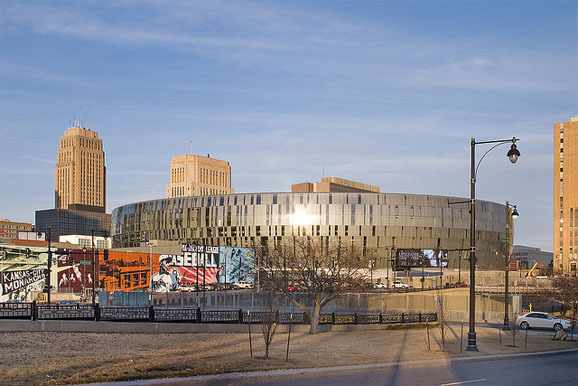 In downtown Kansas City, Missouri, Sprint Center is not only one of the most popular venues in the United States but also in the world. Surprisingly, the arena currently doesn’t have any tenants, but the city is said to be in discussions with the NHL and the NBA regarding possible expansion or relocation of a professional hockey and/or basketball franchise for the venue. The arena has a capacity of about 19,000. For driving and parking directions, check out their website. Ranked as the fifth highest grossing arena in the world based on ticket sales, Philips Arena is located Atlanta, Georgia. 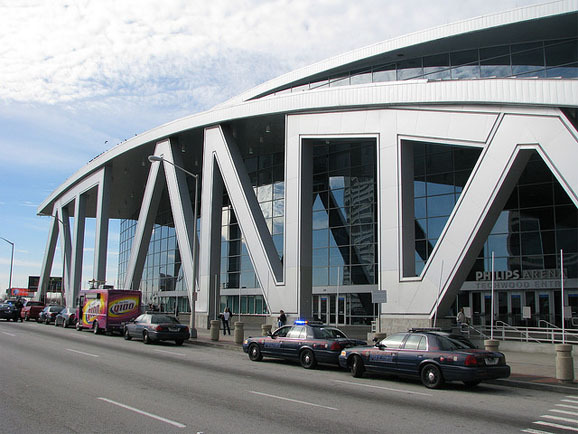 It’s home to the NBA’s Atlanta Hawks and the NHL’s Thrashers. Philips has a capacity of about 19,000 for games and over 21,000 for concerts. Its website has parking exit information and access tips. 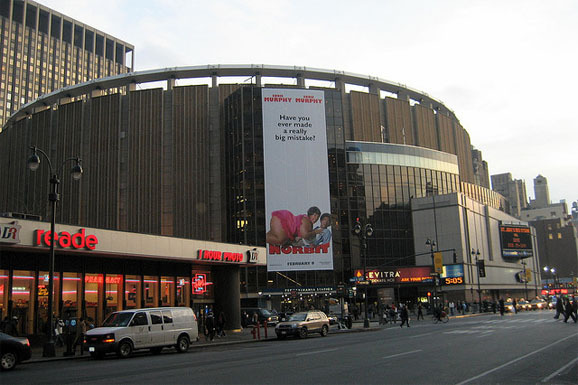 Consistently ranked as the third busiest arena in world (behind Manchester Evening News Arena and The O2 in the United Kingdom), Madison Square Garden is the busiest arena in the United States. Located in the New York City borough of Manhattan, The Garden is home to the NHL’s New York Rangers and the NBA’s Knicks. It’s also host to countless events throughout the year, from concerts, to wrestling, and the circus. Did your favorite arena make the list? What do you think are some of the busiest arenas? Also, if you’ve been to any of these arenas, what was your experience like? Be sure to let us know in the comments below. how is the staple center in LA not on this list? I has 3 pro teams playing there. How is Kansas City arena busy —— no pro sports teams ? WHAT ? It says it is one of the most popular venues in the WORLD ? For what ? Who digs up this garbage ?